The Wrath of Vesuvius, or WRVTH as they've now chosen to be called, celebrate their name-change this year with a self-titled album that combines metalcore, tech death, and a hint of black metal in one off-beat package. I would assume one pronounces WRVTH "wrath", though whenever I see the word, I pronounce it phonetically in my head, a noise somewhere between a four-stroke motorcycle engine kickstarting and a horse sneezing. With some very atmospheric playing coupled with the aggression of their metalcore roots, they assemble the right ingredients here. The first two tracks are filled with ringing, clean guitar interspersed with raw shrieks from vocalist Thomas Vasquez. During those shrieks a lot is happening all at once; guitarists Marcus Vasquez and Jeremy Larson blast in disciplined harmony to perfectly synchronized drumming, and Taylor Preston, on bass, has this neat trick of staying unified with the drums, not the guitar, so that it sounds like another piece of the kit part of the time. These bits of chaos then disappear beneath the surface of more smooth guitar work. Looming Sigils is a more atmospheric piece, starting with wailing background feedback that really shows off the complexity of the bass work, right until Ongoing Dissension moves back into solid tech-death territory, with some excellent guitar soloing towards the middle of the track. There's a strong jazz influence as well, with a fine saxophone solo appearing on a quiet portion of Lured by Knaves, but Forlorn has to be my favorite on the album. It's complex and epic, and the guitar backings and drums turn on a dime, but the lonely atmosphere combined with sheer technical excellence is the big draw here, like what you'd get if Fen and Fallujah decided to collaborate on a song. More atmospheric death is followed by sax noodling on Amber Glow, and the two styles merge together on Cease to Exist, which I also liked a lot. Silly misspellings or not, I felt like WRVTH only got better the further I got into it, and Forlorn, just by itself, is a good reason to pick up this album. 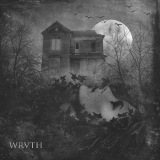 WRVTH's tight production and songwriting combined with the atmosphere and jazz elements is a blast to listen to, and I anticipate giving it some more spins this month.